Earlier this month at D23 we were treated to a series of big announcements, some of which pertained to the upcoming Star Wars themed land "Galaxy's Edge" at Disney Parks. 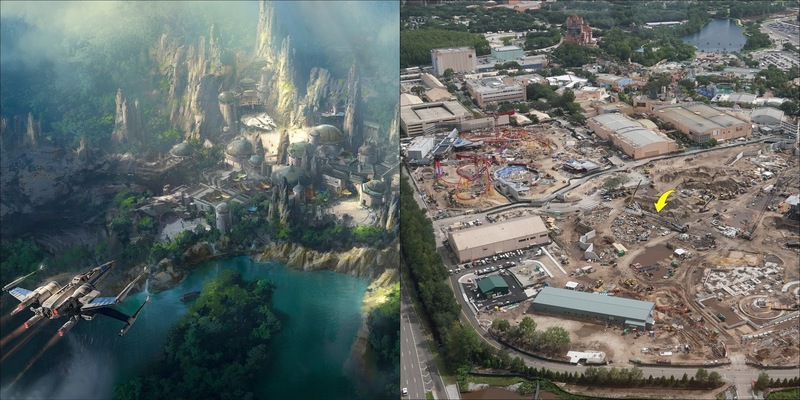 Construction has been in full swing for many months now, and will continue until both versions of the attraction at Walt Disney World in Orlando and Disneyland in Anaheim are ready to be opened. Earlier this week, a Twitter user named bioreconstruct posted some brand new aerial photos of the construction site at Hollywood Studios in Orlando. The images give us stunning views of the progress so far, along with views of the upcoming "Toy Story Land", which is under construction at an adjacent site. Galaxy's Edge at Disneyland and Walt Disney World will open sometime in 2019!